Salmonella, a genus of bacteria, is one of the leading causes of foodborne illnesses in the United States. According to the Center for Disease Control, salmonella illnesses about 14 of 100,000 persons each year, with an annual 30,000 reported cases of salmonellosis. Salmonella may be very bad bacteria, but researchers have discovered a way to transform these distressing bacteria into heroes: genetic modification. A latest study suggests that modified salmonella can deliver an antigen that protects against pneumonia. Another study suggests that engineered salmonella can slow down tumor growth. With the support of the Gates Foundation, researchers at the Arizona State University have genetically engineered salmonella to release an antigen that fends off pneumonia directly to cells. 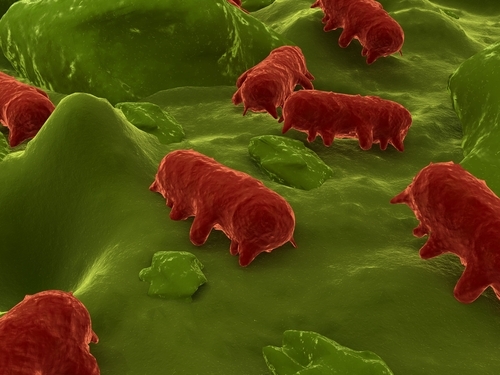 The modified salmonella destroy themselves to deliver their genetic payload. Affected cells then respond to the instructions and produce small amount of pneumoccocus. This prompts an immune response to pneumonia, and immunity to the disease. It could save the lives of more than a million children every year. Salmonella do not infect the body in the process and the does not leave vaccine cells in the environment. According to lead researcher Roy Curtiss: "If we tried to use live Streptococcus pneumoniae causing pneumonia for a vaccine, we would obviously kill the patient. The benefit of a live vaccine that uses a weakened form of salmonella, is that the salmonella can be taken up through the intestinal lining and stimulate an immune response by using just a portion of the bacteria causing pneumonia that itself is not deadly." The genetically engineered salmonella colonize the host’s lymph tissues and produce a protein coming from the S. pneumoniae bacterium. This bacterium then triggers a very strong antibody response. After entering into the immunized individual, the salmonella vaccine functions as its own factory in producing, the protective proteins from the S. pneumoniae pathogen. This is unlike most vaccines manufactured by vaccine companies. "This ability to cause manufacture in the immunized individual dramatically decreases the cost of such vaccines to make them affordable for use in the developing world," says Curtiss. Researchers Markus Loeffler and John Reed of the Burnham Institute for Medical Research genetically engineered salmonella bacteria to express the Fas ligand (FasL), a signaling protein that can slow down the growth of tumors and can attract neutrophils. Injecting FasL into the bloodstream can pose a major problem since it is toxic. But Loeffler, Reed, and their colleagues speculated that salmonella might help to safely target FasL to tumors. In their current study, the researchers injected attenuated FasL-expressing salmonella to mice having tumors taken from mouse colon cancer and breast cancer. After the treatment, tumor growth significantly slowed down in mice with either colon or breast tumors. In addition, lung metastases were also reduced in mice having breast cancer. The anti-cancer effect of injecting attenuated FasL-expressing salmonella seemed reliant on the presence of neutrophils or inflammatory cells. The authors conclude that "these results from murine cancer models suggest that FasL-expressing [Salmonella] could offer an acceptable strategy for employing FasL and possibly other toxic cytokines for cancer therapy."